We had a field trip to the Boston Nature Center & Wildlife Sanctuary on Monday. One of our activities was to paint a mural on recycled paper, using bits of nature to paint our strokes rather than bristled brushes. There was a book on a bench. So I read it to the children while they created our mural. 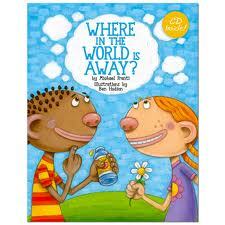 The book was The Color Box by Dayle Ann Dodds. Illustrated by Giles Laroche. 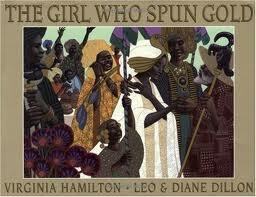 Eboné tale, The Girl Who Spun Gold by Virginia Hamilton. 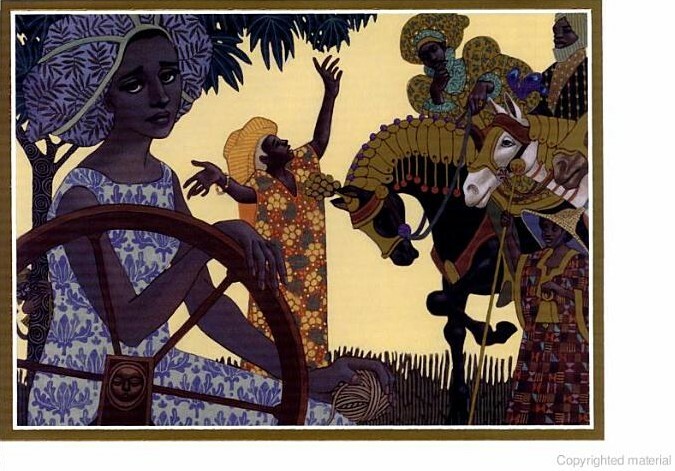 Illustrated by Leo & Diane Dillon. The children asked if we could act out this story sometime. So I’ll have to fit it into the curriculum at some point, to appease the budding actors. The Science teacher read the students a story, but I don’t know which one. Though, I’m sure it was awesome because our Science teacher is pretty awesome. 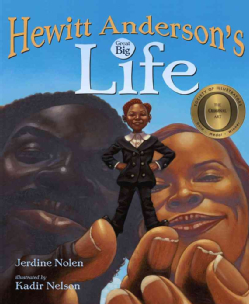 Eboné tale, Hewitt Anderson’s Great Big Life by Jerdine Nolen. 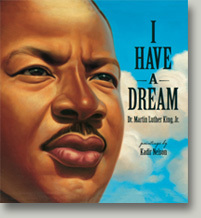 Illustrated by Kadir Nelson. We’ve begun creating miniature furniture for Hewitt, in the classroom. The kids have begun learning to sew as well. Thus far, the protagonist, Hewitt, has three hand-sewn pillows to rest his petite head on beds of plastic crate pieces and feathers. Photos to come. 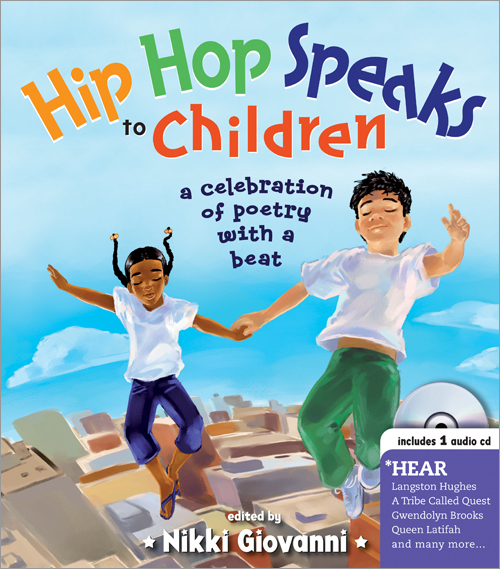 I picked up Nikki Giovanni’s Hip Hop Speaks to Children book & CD, for a steal at Rodney’s Used Bookstore in Cambridge. 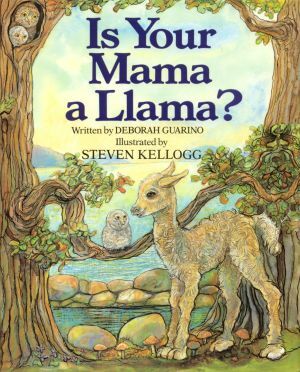 Thanks for reading The Picture Book Pusher. 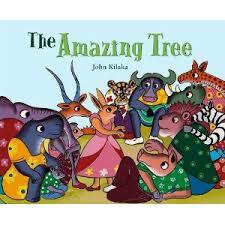 So many teaching moments in John Kilaka’s The Amazing Tree. 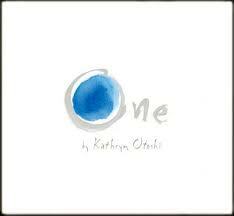 The children were highly engaged in this story, and had so much to say about it that we read it the following day too. 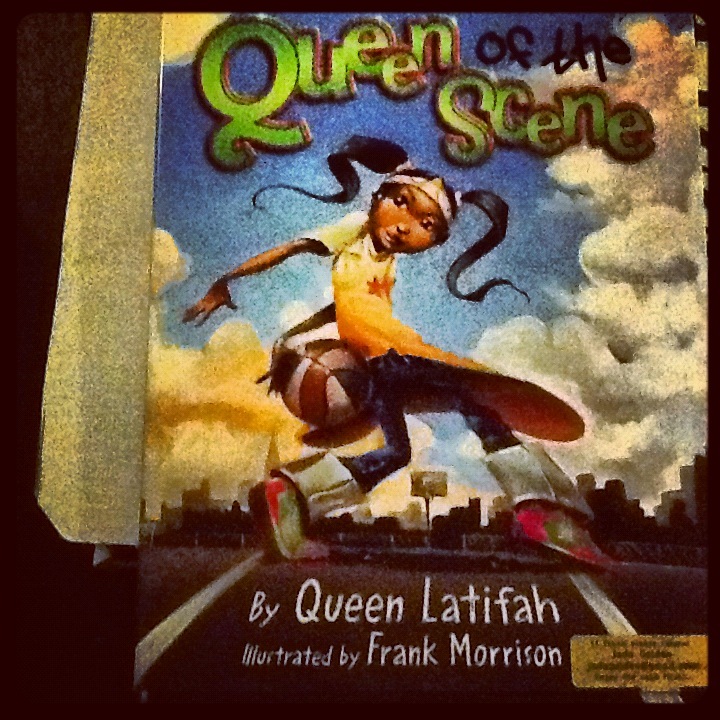 I will be definitely using this book again with the students. 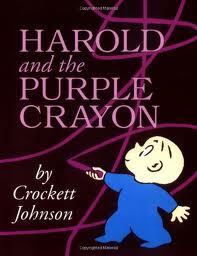 The art teacher chose Thursday’s read aloud, Harold and the Purple Crayon by Crocket Johnson, to introduce the day’s art lesson. I wish I had some of their drawings to show you here, because the students did incredibly well with following the art teacher’s lead, and incorporating the ‘coloring-in’ technique that I had taught them the previous Tuesday. I Have A Dream by Martin Luther King. Illustrations by Kadir Nelson.